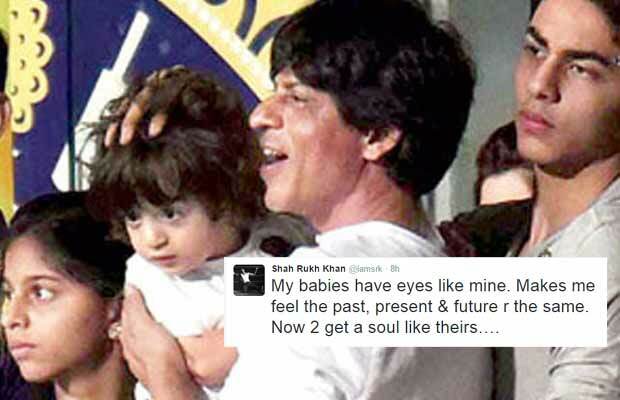 Shah Rukh Khan’s latest Tweet Is So Cute Than We Can’t Stop Gushing! [tps_footer]The ‘King Of Romance’ is becoming even more lovable thanks to his latest tweet. Bollywood has probably utilized Twitter to its full potential, more than any other group of people has. Be it Karan Johar, Sonakshi Sinha or Ranveer Singh, they all have made Twitter an integral part of their social media and communication arsenal. Well, turns out that the ‘Baadshah of Bollywood’ is no different! Recently SRK tweeted this picture. Well, isn’t that just downright adorable? We all knew that SRK was the ultimate husband, father and overall family man, but this tweet just takes it to the next level. The proud papa has taken a step ahead to show the whole world what exactly he thinks of his kids. And we have to add that they all look insanely cute and have amazing eyes. 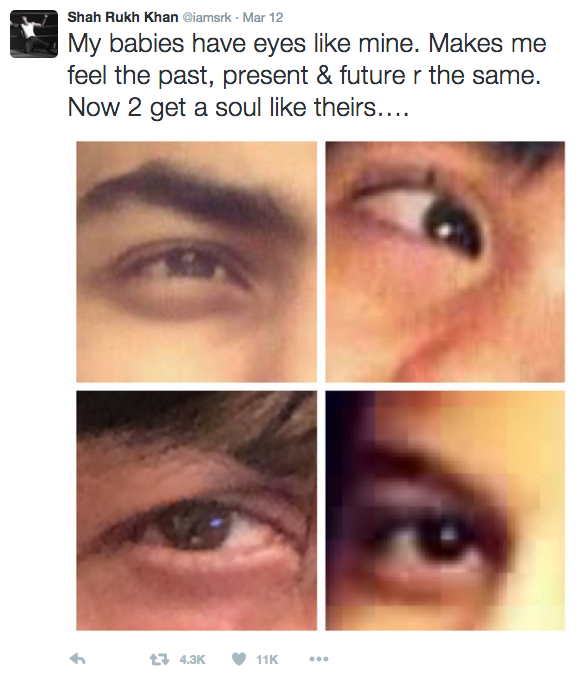 Recently, his oldest son Aryan Khan shared a picture of himself to his friends. We simply could not stop drooling over him. Not only is he extremely amazing, but he looks a lot like his father SRK like he did in his earlier movies – the same sharp jaw line, piercing gaze and doe eyes. We wonder if there is going to be a debut in his kitty in the near future. Previous articleShraddha Kapoor Sizzles In A SwimSuit For Baaghi!